My latest Vinyl Anachronist is now online at http://www.furious.com/perfect/vinyl93.html. In this installment I interview Kirk and Donna Bodinet of SOTA Turntables. Enjoy! 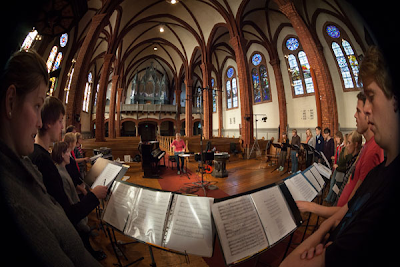 As a secular person, I always experience some trepidation when approaching sacred music. While I've always responded favorably to pieces that were dedicated to the glory of God--the requiems of Mozart and Faure and the entire Arvo Part catalog, for example--I'm worried that I'm missing part of the message due to my agnostic stubborness. That said, I always wonder if the composers of sacred music strive to cross those boundaries by reaching those who should be untouched but can't help be moved by the beauty of such compositions. Song, yet another stellar offering from 2L Recordings of Norway, makes no bones about its intent: "In words and music each track has a story to tell about man and his relationship to nature, his fellow man and to God." This collection of Norwegian choral music is performed beautifully by the Uranienborg Vokalensemble in yet another acoustically divine Norwegian church--this time in Uranienborg, Norway--and within the first few seconds of the opening track your beliefs are challenged by a stupendous sense of heavenly purpose. Choral works can be so breathtaking in their purity, but when Morten Lindberg of 2L has everything set up just right, that aforementioned stubborness tends to dissipate almost immediately. Once again, delicacy is the key in this recording. The individual voices of the choir are so fleshed out, so complete and so shrouded in sweat and blood and inspiration that the music becomes utterly vivid and real. Listening to Song on my audio system--which is certainly way above average yet still a healthy stone's throw from state of the art--reminds me of my experience with one of the finest audio systems I've encountered. This happened a few years ago during CES in Vegas, where I was escorted to a beautiful rented mansion in a ritzy neighborhood. The speakers were well into the six-figure realm, and everything else was a flagship of some sort or another. The manufacturer who ran the demonstration chose a similar piece of choral music, and I was struck by how real it all sounded, how those pesky veils of artifice had been lifted and I closed my eyes and was instantly convinced that I was listening to a live performance. Song easily replicates this experience--and on a much more modest system. What would it sound like on that system in Vegas? In an industry where the human voice is used as a reference for fidelity, how easy is it to accomplish this feat? I'll go out on a limb and say that it would be close to impossible to make Song sound bad. Even the Blu-ray player in my laptop can give a pretty fair account of this music with the tiny stock speakers. But what if you have a truly glorious system that's perfectly matched to this truly glorious music? I suspect that it will change you mind about a lot of things--especially the magnificent promise of Blu-ray audio and SACD. When the entire choir contributes at once, you'll realize how special this recording is. So many choral works create a wall of voices in this context, like massed strings in an orchestra. It's a pleasing illusion, even comforting, but it won't sound like that autumn day in 2011 when Morten captured these moments in time. In Song, every voice is singular and detectable. With a decent audio system you can easily track each vocalist through the track to the point where you sense you know a little more about that person. That's what a great recording played on a great system will do--it will force observations that sound silly and fleeting and hyperbolic. That's what music is supposed to do. It's supposed to reduce you to emotional rubble. Song succeeds admirably in this respect. What a wonderful LP I received just before I had to pack up the turntable and head to Colorado. Morten Lindberg of 2L Recordings sent me the new Mozart Violin Concertos LP just a few days ago, and I couldn't have asked for a better farewell session for my Texas listening room. First of all, the orchestra is the stunning TrondheimSolistene--which is responsible for the landmark Souvenir albums from last year, the very recordings that introduced me to 2L. Seeing their name on the cover felt like a visit from old, dear friends. Second of all, it's Mozart. While I'm not one of those Mozart fiends who started obsessing about this music the minute they watched Amadeus for the first time--my heart will always belong to Russians such as Prokofiev and Shostakovich and Frenchmen such as Ravel and Debussy--but Mozart is Mozart. It's sheer beauty in a nutshell. I can't think of a single day in my life where I wouldn't want to indulge in this music for at least a few minutes. The liner notes say it better: "To us, Mozart is as solid as rock, as soft as snow, and as clear as ice." That's a uniquely Scandinavian way to express one's love for Mozart, but it's so appropriate to the sensibility over at 2L. Like nearly every single recording I've reviewed from this Norwegian label, this recording is alarmingly pure and translucent. All of the light within the music glows in such a direct, unabashed way that other classical recordings sound like they've aged a little too long in the cellar. There's something so immediate about the 2L recordings, and just a little crystalline--like ice and snow. As with all 2L LPs, this pressing is magnificent in its quiet, its revelatory nature. After listening to this recording, you may ask yourself: "is it possible to get closer to this music without experiencing it live?" I'm discussing two Mozart violin concertos--No. 4 in D major (kv218) and No. 3 in G major (kv 216)--and I've barely metioned the soloist, Marianne Thorson. Perhaps that's because she is integrated so well with her fellow musicians. 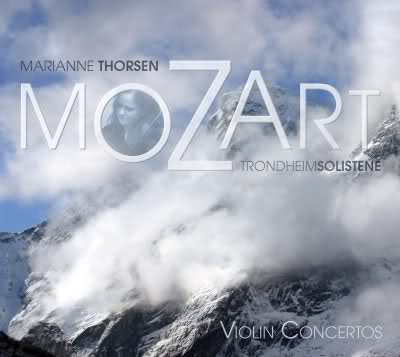 Morten's vision was to present a "fresh version of the most elegant violin concertos in the history of music," and one of his recording trademarks is to find novel ways to present them--hence the word fresh. As you can see in the photograph below, Thorsen is surrounded by the orchestra and not placed on a giant pedestal. That allows her to be more connected to her fellow musicians, and to produce results that are more organic and whole. This is such a lovely counterpoint to concertos recordings that sound like the soloist was recorded in a different space, on a different day--perhaps even in a different country. 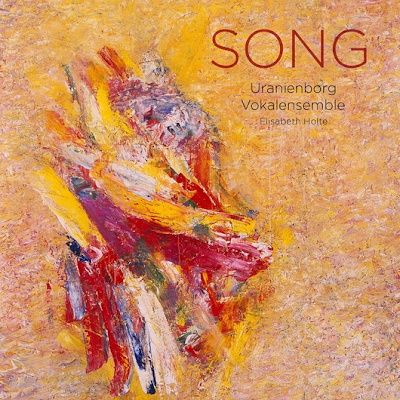 This recording, conducted by Oyvind Gimse, has already received its share of accolades. That's because it was originally released in CD/SACD back in 2006. 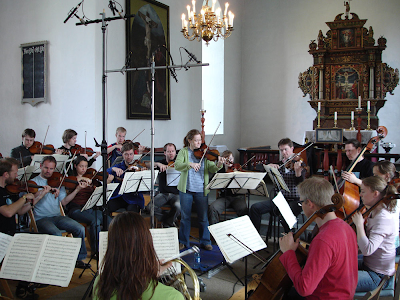 Since then, it won a Norwegian GRAMMY as Best Classical Album, and Kalman Rubison of Stereophile chose it as one of his "Records to Die For" back in 2008. So you may already know this recording well. But as usual 2L's DXD 352.8kHz/24bit Direct Metal Mater 180g audiophile grade vinyl pressing is the real news here, and if there's a reason to still listen to vinyl...this is undoubtedly it. Remember New Wave? It was an odd, catch-all genre in the late '70s and early '80s that was designed to label new music that sounded considerably different from dinosaur rock, yet wasn't quite harsh enough to call punk. New Wave usually meant a band was quirky, favored synthesizers over guitars and had a angular, high-fashion sensibility that was at odds with the normal rock-and-roll swagger. It was neat, well-mannered and had its tongue planted in its cheek. It wasn't serious, but it was necessary. In just a few years, New Wave lost its meaning as musical genres became more and more fragmented. Today the term is about as relevant as rock. But once in a while, you'll hear a band that reminds you of those days when bands tried to be different--not because they were trying to stand out but because the norm was so incredibly boring. 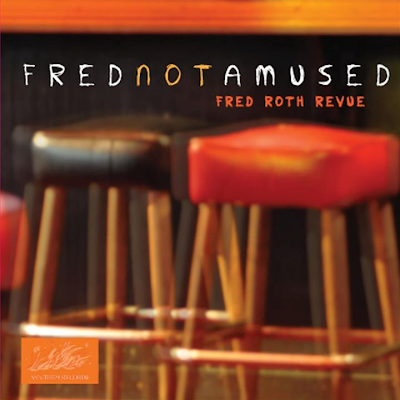 Fred Roth Revue, fortunately, is one of those bands. This Seattle band recaptures one of the great qualities of New Wave bands: deadpan humor. In the opening song, "Tomorrow," singer Fred Roth starts off with "See that little girl inside? I think she smells. See that little boy inside? I think he's fat." Is Fred being ironic about the way our society judges people by their appearance? I doubt it--he's just getting your attention. If he is being sardonic, perhaps he's making fun of all those indie bands who hide behind their heavy-handed, impenetrable lyrics. FRR lays it on the line--if the song is called "Red Vespa," it's about a red scooter and not about our need to reduce our carbon footprint. In true New Wave tradition, all of the songs here are fast, catchy and short. No one's trying to impress you with musical virtuosity here--each of the band members (which include Fred on bass, Scott Griggs on drums, Merch DeGrasse on guitars, Jim Knodle on trumpet and Chris Guthrie on keyboards) have a role to play. There's no room for extended jams, odd interludes or freaky, disjointed detours. When the song is done, it's done. If this sounds superficial, you'd be wrong. Sure, the Revue is what we used to call a party band, a group to see if you wanted to bounce around the dance floor and work up a sweat. 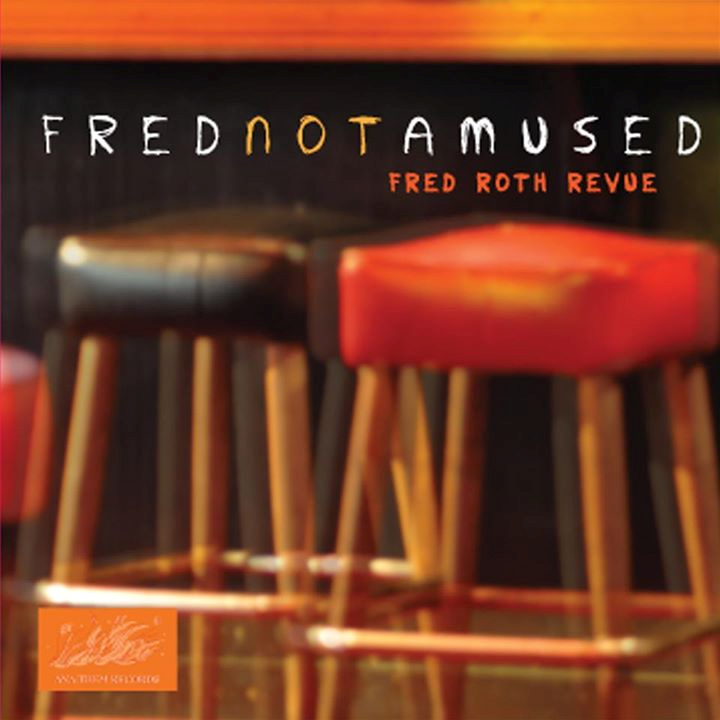 But listening to Fred Not Amused reminds me too much of bands like Blondie, Ramones and the B-52s--think of the first two to three albums from each and how they were masterpieces of simplicity as well as incredibly stripped down and fun--and how music should free your mind and your body and improve your mood just a bit. Underneath it all, however, someone's trying to shake things up and change your mind. Is there really a point in closing an album with a dreamy, strange rendition of "Frere Jacques" called "Fare Oh Jake Oh" other than being a goof? Perhaps we'll look on Fred a few years from now and say, "that's what Fred meant." Then we'll smile knowingly. Either you'll get the joke or you won't; depends on your familiarity with The Brady Bunch. It's clearly a 21st century update of Jethro Tull Syndrome. Maybe you're in on the joke and you're expecting an indie-rock cover of "It's a Sunshine Day" somewhere on George Glass's new album, Welcome Home. You'll be stymied there as well. 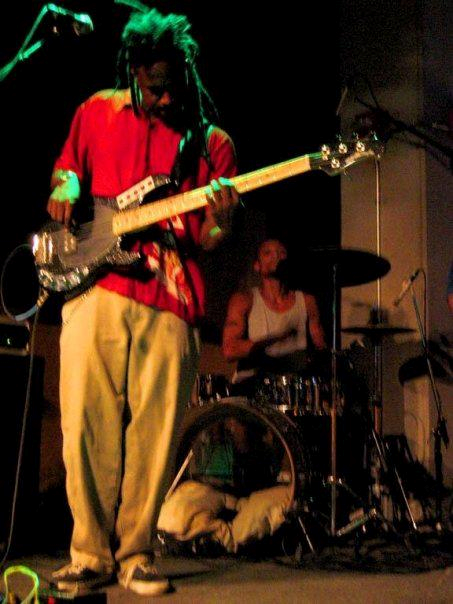 What you will get is an earnest-sounding band that's full of outstanding musicians who can slide across two or three musical genres without missing a beat. If I could describe this LA trio with a single word, it would be wholesome. That sounds like a death sentence in the edgy world of indie rock, but all the elements are there--a singer with a hobo past (Nicholas Ceglio) whose voice could best be described as amiable and easy-going, a bassist (Peter DiBiasio) who is described in the press kit as a twelve-year-old dynamo who happens to be suffering from Benjamin Button disease, and a drummer (Nathan Kondor) who rides eagles and bears. Their collective output on Welcome Home is smooth around the edges, expertly played and more easy-going than you'd expect. None of this, of course, is a bad thing. Too many bands these days dare you to sift through the squalor and find the talent--these guys wear it on their sleeves. As I said, George Glass shifts between three basic musical genres. The first genre is straightforward and catchy '80s indie rock, stripped down and simple and full of that aforementioned earnestness. Ceglio's winsome vocals temper the guitars and the tempo, resulting in a pleasant sound that is heartfelt and punchy enough to get you down the road. The band kicks up the originality a notch when they moved into a folksy, acoustic Americana mode that is much more suited to Ceglio's voice--one suspects that this is George Glass's true calling and where they should invest more time in subsequent albums. Songs such as "Metro Hymn," "LAM," "One Liner" and the radio-friendly "AM Radio" fall under this category, and the band seems endlessly more focused and comfortable in this setting. The third genre, the one that is truly surprising, is revealed in a single song, "Patchwork Girl," that is clearly framed as Welcome Home's magnum opus. This is the song where the band lets loose and explores darker territory--that elusive edge I'm searching for--and the result is a sound that underline's the band's real potential. Epic and loose, this song is the proverbial show-stopper and speaks to the future, the hint of a progressive arc that will really deliver this band to the doorstep of excited, loyal fans. Buy Welcome Home just to experience this massively impressive calling card. 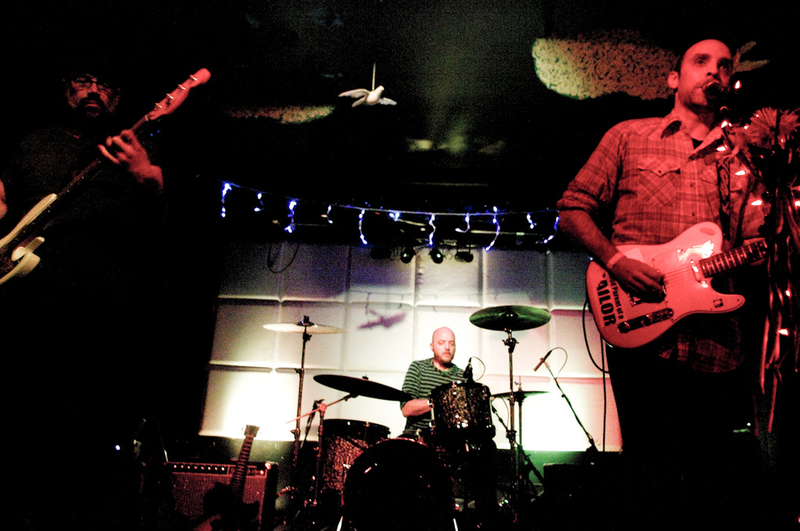 Like most modern indie bands, George Glass is aiming for those memory banks of listeners, the ones that conjure up past years of great music while trying to add something definitive and new. Where the band succeeds is in its staunch refusal to sound like anyone else while mining the past; they feel confident to do their thing and damn expectations. If they can concentrate on those loose, experimental and slightly psychedelic tendencies while staying true to their love of a more acoustic presentation, subsequent albums will continue to impress. I'm keeping a close eye on these three. 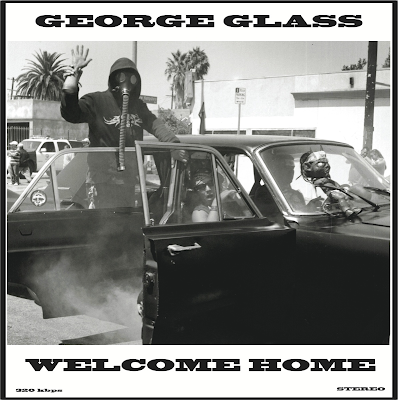 And here's some great news...Welcome Home will be available on vinyl! I've been a little remiss in blogging for the past couple of weeks because we're preparing for a big move to Colorado. After four years in Texas, my work here is done. Those of you who have known me personally over the years know that I like to mix it up every few years and move to somewhere completely new--and for a multitude of reasons. This time I'm moving to a place for nothing but good reasons--mostly because Colleen and I can run CCI from anywhere in the country, so why not do it from a place that's beautifully and doesn't experience triple digit temperatures for months on end? In addition, we're moving close to my parents who are at that point in their lives where they need to have someone living close. I did luck out in one particular way. Our new house in Colorado will have a spectacular sound room. I didn't break out the measuring tape, but I estimate it to be at least 24' by 18'. I absolutely loved our house in Texas, but the listening room was a bit too small--despite the fact the entire house had 12' ceilings. Since we deal with large loudspeakers that require plenty of room (Opera Grand Callas, My Audio Design Royal Dukes, etc.) this will be quite the blessing. I do have a pile of CDs and LPs to review before we leave, so I will try to get those finished in the next few days before I have to pack up the system and drag it across the Texas Panhandle!